Entry fees for teams attending Provincial Championships were $175. Ringette Alberta Player registration fees were $5.00 per player. Calgary Ringette passed a motion in September 1986 stating that only "TUBE TYPE" skates may be used to play ringette (no picks allowed). Referees worked exhibition games free. 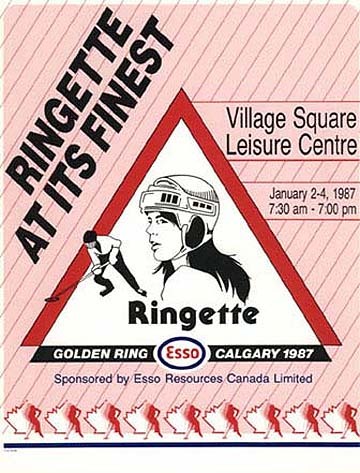 110 girls attended the 1986 Booster Club Ringette School. For the first time an "advanced instruction" session was held. 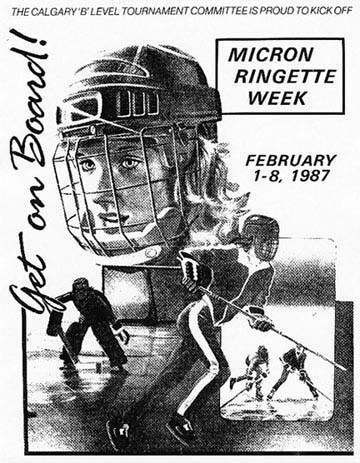 Extended Zone Ringette was implemented in the 1986-87 Season. Two level 1 technical coaching clinics were held in Calgary (Oct & Nov). The cost to attend was $20. 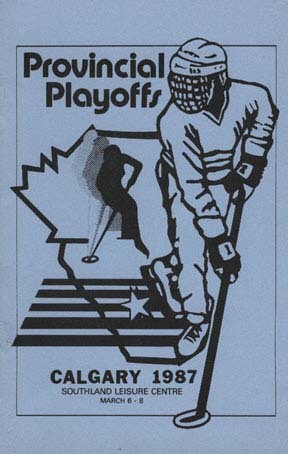 Calgary hosted the "A" level Provincial Playoffs at Southland Leisure Centre on March 6-8, 1987. There were a total of 12 teams competing. Calgary Debs and Juniors won the Gold medal and the Calgary Tweens won the Silver Medal. Due to Bingo revenues, this was the first season that Calgary Ringette was able to pay their inital ice allocation bill. Calgary hosted "A" Provincials in March of 1997. 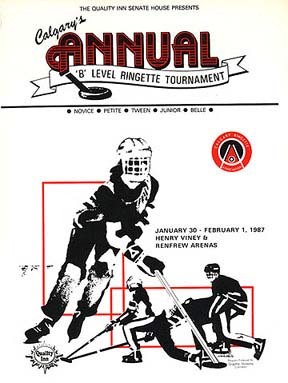 An "A" level (rep) tournament, sponsored for the second time by Esso Resources was held on January 2-4, 1987. Chairpersons were Ray Lee and Laura Webb. 21 Teams from Alberta, B.C., Saskatchewan and Manitoba competed at the Tween, Junior, Belle, and Deb levels.